There is major excitement buzzing on the colon cancer screening front in Washington, D.C.
Last week, U.S. Senator Sherrod Brown of Ohio proposed legislation to ensure that seniors who undergo colon cancer screening are not burdened with unfair and unexpected costs. Under current health care laws, seniors covered by Medicare are eligible for free colon cancer screening. However, if the doctor must take further preventive action, such as removing a polyp, the patient is billed for a treatment procedure rather then a prevention measure. These costs are problematic because not only do they place an unexpected financial burden on the seniors who choose to get screened, they deter other seniors from getting screened in the first place. "Colorectal cancer is the third leading cause of cancer death in the country," Senator Brown said in a recent press release. "But too many seniors who go in expecting a free, preventive screening, wake up to an unexpected and significant bill. We must do everything we can to make potentially lifesaving procedures as easy and affordable as possible. My legislation would eliminate billing problems so that seniors can stay healthy and protected without taking a hit to their pocketbooks." The bill, titled Removing Barriers to Colorectal Cancer Screening Act, would ensure that all colon cancer screenings remain cost-free for Medicare beneficiaries, as it would allow Medicare to cover the cost of the screening test and any follow-up prevention procedures. 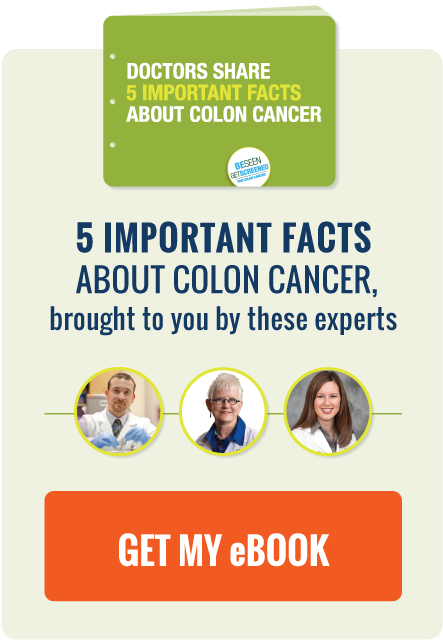 Download our Doctor Discussion Guide and talk to your doctor about your colon cancer screening options! A new study from University of California, San Francisco suggests that colon cancer patients are surpassing the five-year survival rate. Interesting article on how the cost of colon cancer drugs affects the type of treatment a patient receives. A new study through Yale University found that colon cancer screening has prevented 500,000 cases of cancer from 1976-2009. Researchers from The University of Texas MD Anderson Cancer Center found patients with advanced colorectal cancer, who typically have poor response rates, responded well to new combination drug therapies. Image source: Alex via Flickr.